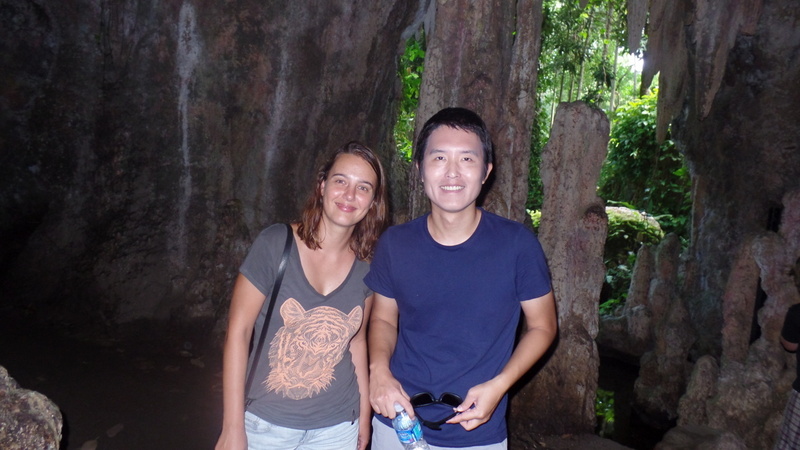 Nature and Portuguese - Learn Portuguese in Rio - RioLIVE! 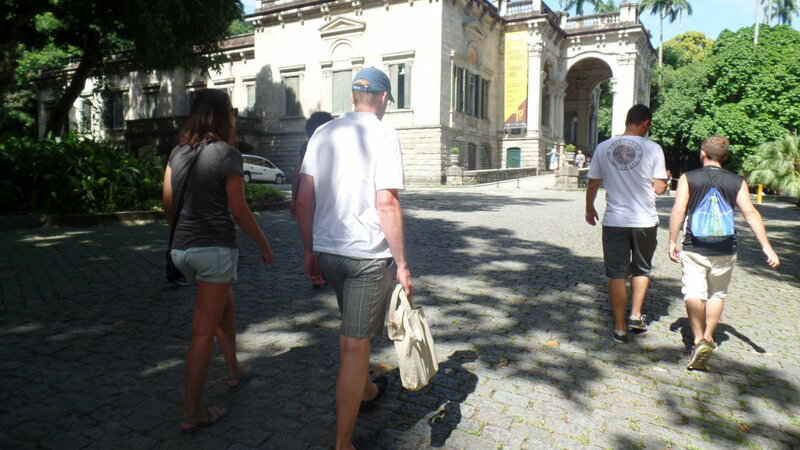 Our Portuguese students enjoying Parque Lage. מזה שבוע אני לומדת פורטוגזית בבית ספר שנקרא Rioandlearn בית הספר נמצא בקופאקאבאנה. כחלק מהלימודים, כל יום, מתקיימת פעילות קבוצתית שמטרתה להכיר את העיר ואת התרבות הברזילאית. לדוגמא, אתמול התקיים סיור של הקבוצה בפארק בוטאני שנקרא Parque Lage. המדריך Diogo, שהוא אחד מהמורים הטובים בבית הספר, ליווה את הקבוצה והסביר בפורטוגזית טובה וברורה. Nature and Portuguese, that was our RioLIVE! 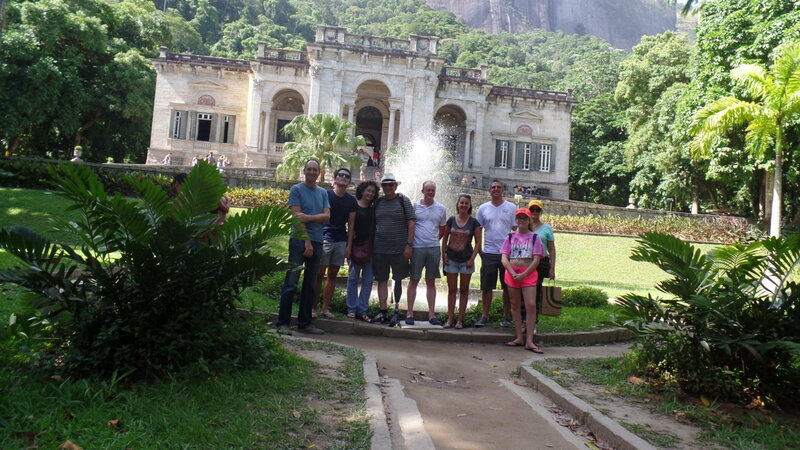 at this time, our students had the opportunity to visit one of the most beautiful and interesting places in Rio, Parque Lage. Our group was formed by students from England, Germany, Switzerland, Israel, South Korea and Spain, they were ready to combine Nature and Portuguese. Parque Lage is very famous because besides its natural parts, there is an old house where nowadays an arts school is placed, EAV (Escola de Artes Visuais do Parque Lage). 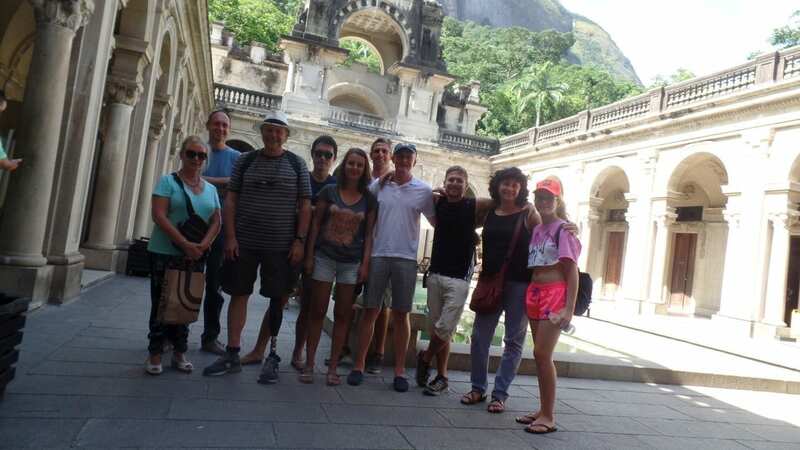 The students were really amazed with the beauty of the place, from the inside of the house, it’s possible to see Corcovado and Cristo Redentor Statue, while enjoying the views they could talk and know each other better. In Portuguese, of course. 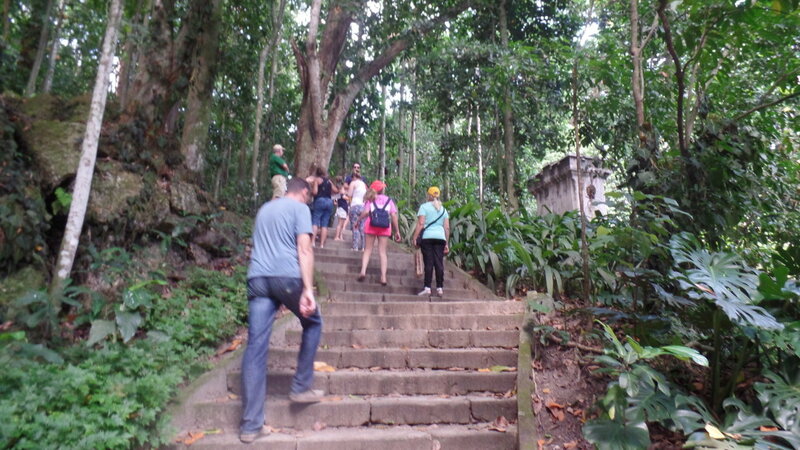 After the arts school, we took a walk to explore the place, with each step our Portuguese students were even more amazed. 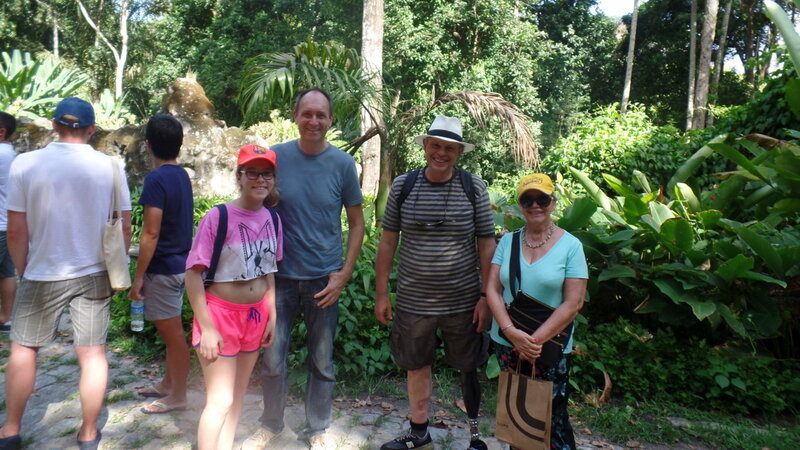 Places such as the front garden, the aquarium, the cave and also the tower made them had a different view about Parque Lage, since it’s very close to Jardim Botânico, another good place to visit in the city, but more famous. 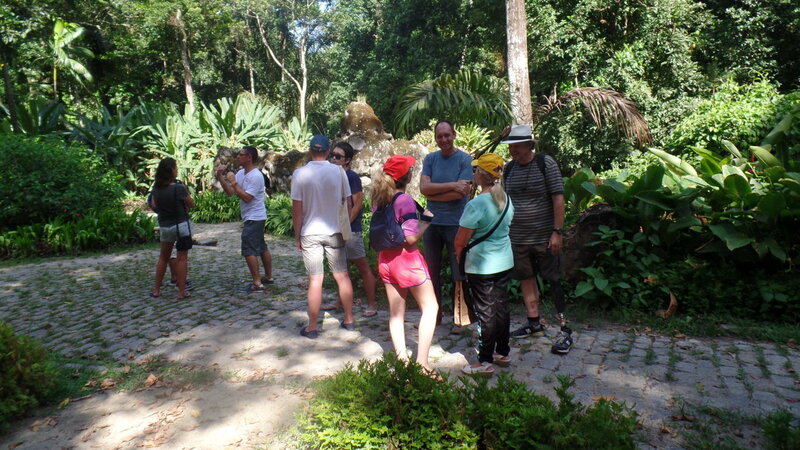 In the end everyone was happy and satisfied with this amazing visit where they could combine nature and Portuguese. 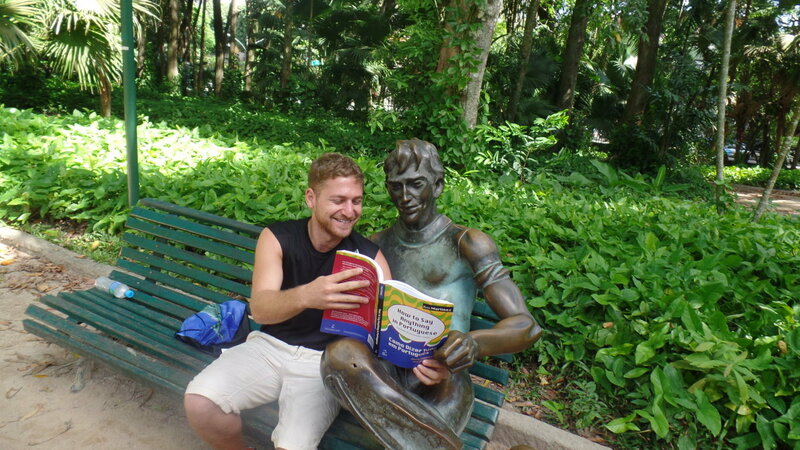 Come you too to study Portuguese at Rio & Learn and see the best places in Rio de Janeiro with our RioLIVE! 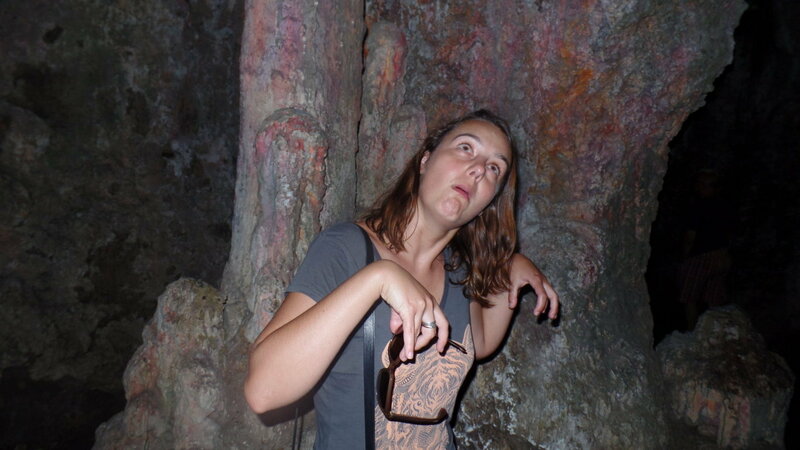 Activities.